Early last week 2017 SF Justin Smith of Stevenson (IL) came off the board with a verbal commitment to the Indiana Hoosiers. The explosive wing played with the Mac Irvin Fire during the grassroots travel season. Another talented prospect came off the board from Illinois over the weekend as highly regarded 2019 PG Markese Jacobs of Uplift (IL) verbally committed to Kansas on Sunday. He played with the Mac Irvin Fire during the grassroots travel season. 2017 SG Jeff Prophete of Coral Springs Christian Academy (FL) verbally committed to Towson early last week. 2017 F Sean Mobley of Montverde Academy (FL) verbally committed to VCU last week. He played with the Nike Team Florida program during the grassroots travel season. 2017 G Bo Hodges of Maplewood HS (TN) verbally committed to East Tennessee State. He played with the Alabama Challenge during the grassroots travel season. 2017 F/C Brandon Huffman of Word of God (NC) verbally committed to North Carolina last week. He played with the Team Loaded program during the grassroots travel season. 2017 PG Jahlil Jenkins of Jefferson High School (WV) came off the board with a verbal commitment to Farleigh Dickinson. He played with the Uncommon Bulls during the grassroots travel season. 2017 PG Ishmael El-Amin of Hopkins (MN) came off the board last week as the talented lead guard verbally committed to Ball State. He played with the D1 Minnesota program this past spring & summer. 2017 F Nigel Shadd of Tri-City Christian (AZ) also came off the board with a verbal commitment to Kansas State. He played with the Arizona Magic during the grassroots travel season. 2017 PF Tanner Robinette of Hargave Military Academy (VA) verbally committed to Marshall during the week. He played with the Garner Road Bulldogs during the grassroots travel season. 2017 G Keondre Schumacher of U-High (IL) came off the board with a verbal commitment to Winthrop. He played with the All IN Y&R team during the grassroots travel season. 2017 F Gabe McGlothan of Basha (AZ) verbally committed to Army last week. He played with the D1 Nation program during the grassroots travel season. Cornell struck on the trail as 2017 F Riley Voss of Archbishop Moeller (OH) verbally committed to the Big Red. 2017 PF Evan Battey of Villa Park (CA) came off the board last week as the talented forward verbally committed to Colorado. He played with the Dreamvision program during the grassroots travel season. 2017 SG A.J. Walker of Saint Mary’s Hall (TX) verbally committed to Air Force last week. 2017 SG Thomas Allen of Brewster Academy verbally committed to N.C. State over the weekend. The Garner (NC) talent played with the Garner Road Bulldogs during the grassroots travel season. 2017 G/F Anthony Gaines of New Hampton (NH) verbally committed to Northwestern. 2017 F Dwight Wilson of Lincoln (FL) came off the board to James Madison last week. Saint Joseph’s struck on the trail as 2017 C Anthony Longpre’ of Gleneig Country (MD) verbally committed to them during the week. Denver also landed a prospect as they secured a verbal pledge from 2017 G Elijah Blake of Rangeview (CO). 2017 G A.J. Caldwell came off the board as well as the Riverview (FL) standout verbally committed to South Alabama. Head Coach Buzz Williams and Virginia Tech landed 2017 G Wabissa Bede of Cushing Academy (MA) last week. Michigan State struck big on the trail last week as the Spartans landed a commitment from 2017 F/C Xavier Tillman of Grand Rapids Christian. He played with the Spiece Indy Heat program last summer. San Diego struck as well as 2017 G Emanuel Hylton of St. Johns (DC) gave a verbal commitment to USD. Temple jumped into the mix as well as the Owls secured a verbal commitment from 2017 F JP Moorman of Greensboro Day (NC). Nebraska-Omaha struck on the trail as well as they secured a verbal commitment from 2017 F Matt Pile of Eisenhower (KS). He played with the Team Kansas City program during the grassroots travel season. San Diego landed another prospect last week as 2017 G Joey Calcaterra of Marin Catholic (CA) verbally committed to USD last week. Head Coach Bruce Pearl and Auburn continued to add quality talent as 2019 F Jared Jones of Pebblebrook (GA) verbally committed to the Tigers last week. Also coming off the board last week was 2017 F Ibrahim Doumbia of Miami Country Day (FL). He committed to South Carolina. Navy struck on the trail as well as they secured a verbal commitment from 2017 F Nick Alikakos of Episcopal Academy (PA). San Francisco made their presence felt as they secured a verbal pledge from 2017 G Souley Boum of Oakland Tech (CA). Texas jumped in the mix as the Longhorns secured a commitment from 2017 G Jase Febres of Westfield (TX). 2017 F Drew Lamont of American Heritage (FL) also came off the board with a verbal commitment to American. Temple struck again last week as the Owls secured a verbal pledge from 2017 F De’Vondre Perry of Poly (MD). 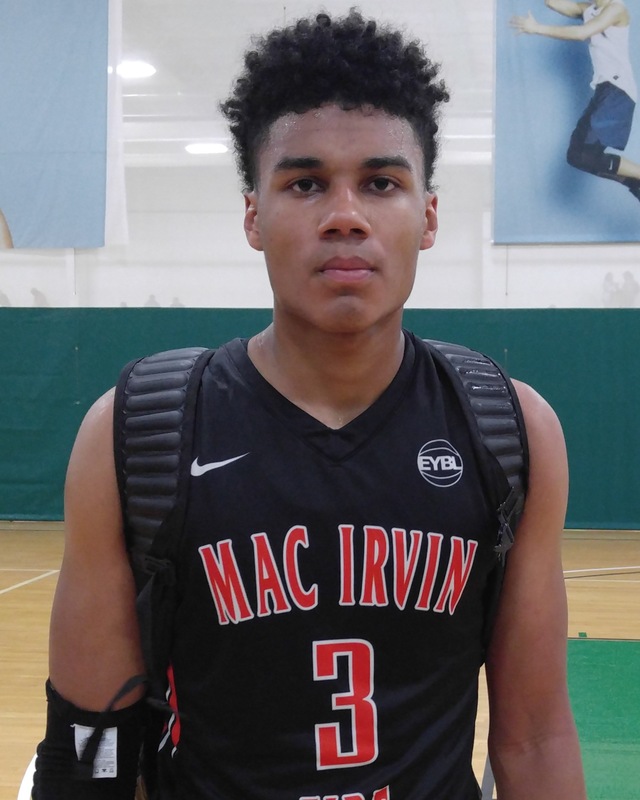 SMU also jumped in the mix as they secured a verbal commitment from 2017 F Ethan Chargois of Union City (OK). 2017 G Jalen Ray of Hampton (VA) verbally committed to Hofstra. UT-San Antonio struck on the trail as well as they secured a verbal commitment from 2017 F Adrian Rodriguez of Union (OK). Buffalo jumped in the fray as well as they secured a verbal pledge from 2017 G James Reese of Flora (SC). Cornell landed a second commitment late last week as 2017 G Jake Kuhn of St. Maria Goretti (MD) verbally pledged to the Big Red. Old Dominion secured a verbal commitment from 2017 G Michael Hueitt Jr. of Northwood Temple (NC). Princeton struck on the recruiting trail as well as the Tigers secured a verbal commitment from 2017 F Sebastian Much of JSerra Catholic (CA). New Mexico also secured a 2017 prospect as they landed a verbal pledge from C Chris Sodom of Tennessee Prep (TN). Bradley struck on the trail as well over the weekend as they secured a verbal commitment from 2017 F Elijah Childs of Lee’s Summit West (MO). Head Coach Danny Manning and Wake Forest landed a verbal commitment from 2017 G Chaundree Brown of First Academy (FL) over the weekend. Not to be outdone was Maryland as the Terrapins landed 2017 C Bruno Fernando of IMG Academy (FL) over the weekend. Indiana struck a second time over the weekend as 2017 F/C Clifton Moore Jr. of Hatboro-Horsham (PA) verbally committed to the Hoosiers. He played with the HoopDreamz program during the grassroots travel season. Bowling Green struck on the trail as well as they secured a verbal pledge from 2017 F Joniya Gadson of Dillard (FL) over the weekend. Middle Tennessee State also landed a commitment as 2017 PF TJ Massenberg of Shiloh (GA) verbally committed to Coach Davis and MTSU. He played with the Southern Stampede during the grassroots travel season.